I was cooking food since I remember myself. With my dad I remember cooking Pasta Bechamel which was my childhood favorite, with my brother I remember always inventing new ways to eat eggs and cheese dinner with whatever we could find in the fridge that day. As a family we always cooked family dinners together. But we rarely baked anything at home. I only remember ever using the oven for roasting meats and vegetables. That world was completely unfamiliar to me. Only when I was going to culinary school I encountered baking and pastry making for the first time. 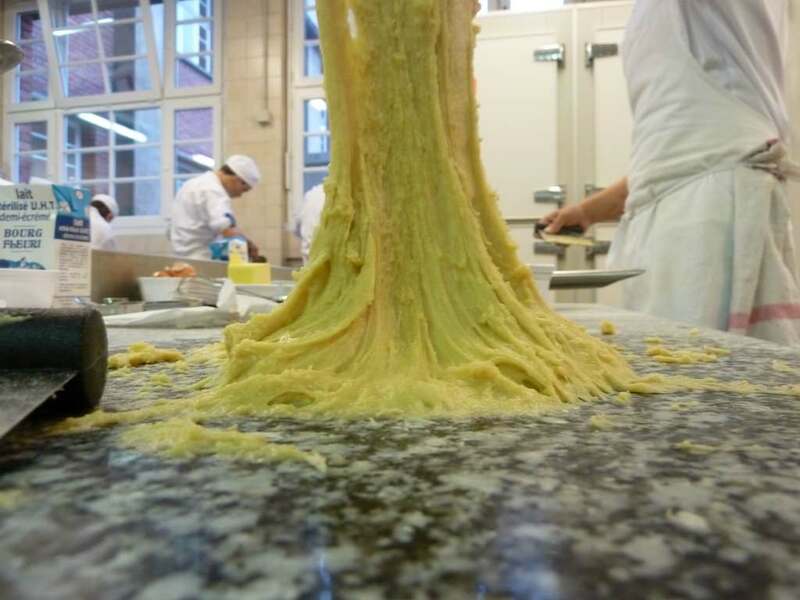 It was all very new and exciting, the touch of dough in my own hands felt enticing. We learned all types of dough but bread making has it’s own field, separated from all other baking and cooking and pasty making, that’s call Boulangerie. Brioche dough, so rich and sticky! As you may already know, bread is a very important part of a French meal. Unlike American meal, bread is always available on the table to support the meal throughout. It’s a way to eat the rest of the sauce off the plate, to clean the taste buds going to the next course and balance the meal as a side dish. 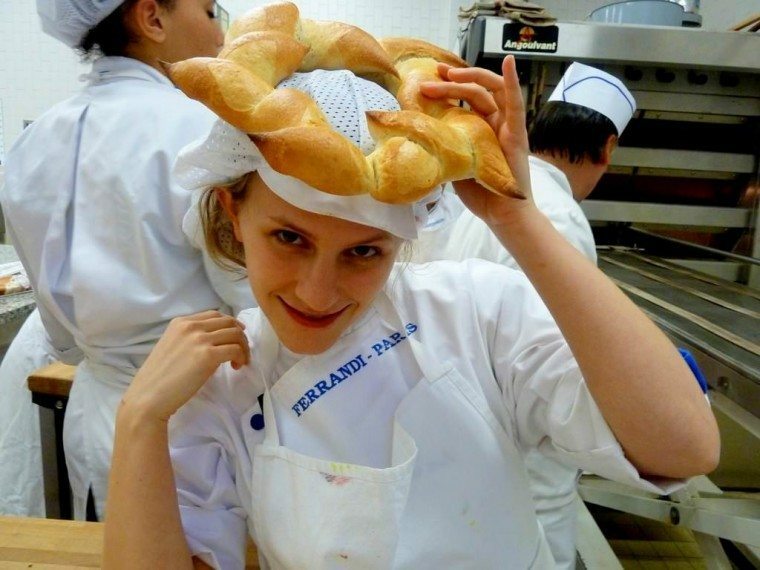 When I was living in France, I constantly had contact with great tasting bread and really enjoyed it everywhere I ate. 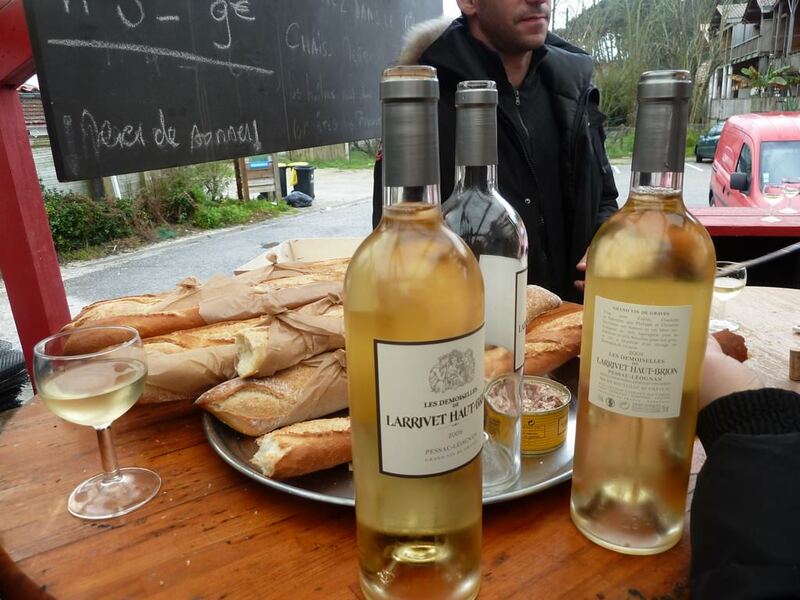 Many times just a simple fresh Baguette with lunch or Pain Complet (whole wheat bread) with some cheese (that went along with some wine tasting of course), Brioche with pâté, Baguette tradition with fresh oysters. 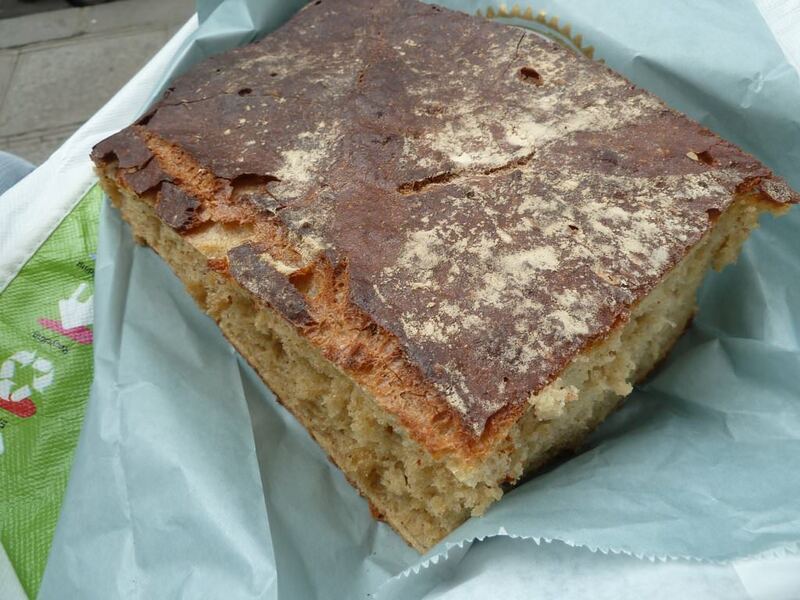 Sometimes I’d remember a restaurant only by their excellent bread (the meal was good, but the bread… was heavenly!) I even seen (and tried it for myself) baguette for dessert eaten dipped in a chocolate mousse. Pain Complet with Seafood, why not? 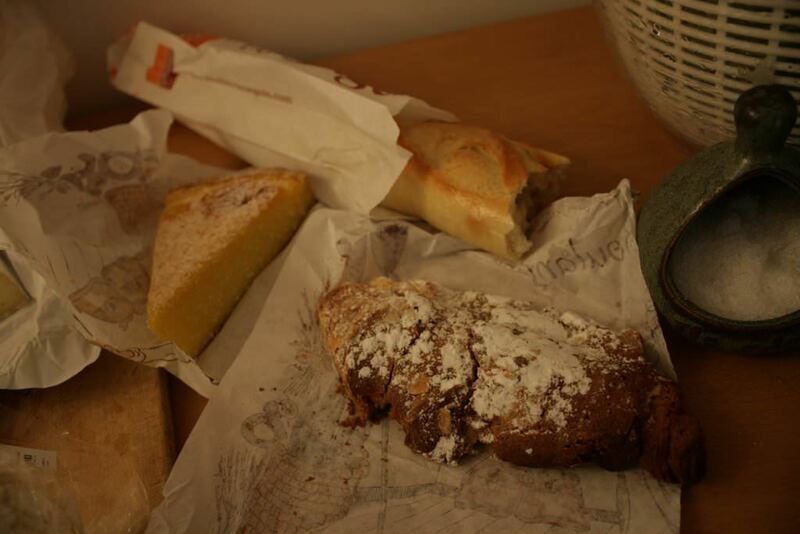 France had the best bread I have ever tasted in my life, it was everywhere and all the time, limitless and always fresh. Crispy outside, soft and fluffy inside. And that deeply changed me. It wasn’t the sweet Brioche that threw me off course, but rather the Pain au Levain (Sourdough) that had a big impact and impressed me the most. I learned to appreciate the importance of good quality bread in my kitchen. But it’s an awful big distance between understanding that and being able to make something of that quality. We did have a boulangerie class in school. It was a one day class in which I was overwhelmed with information about hydration percentage, temperatures, starters, feeding times, flours and grains, steam ovens… It was very confusing and discouraging in a way. Levain is a living thing, bread making is an art-form and getting in the field requires jumping into the deep ends. I was not ready for that yet. While living in Paris it made no sense trying to bake your own bread where you can practically buy the most amazing fresh bread everyday for less than 1.3 euro. 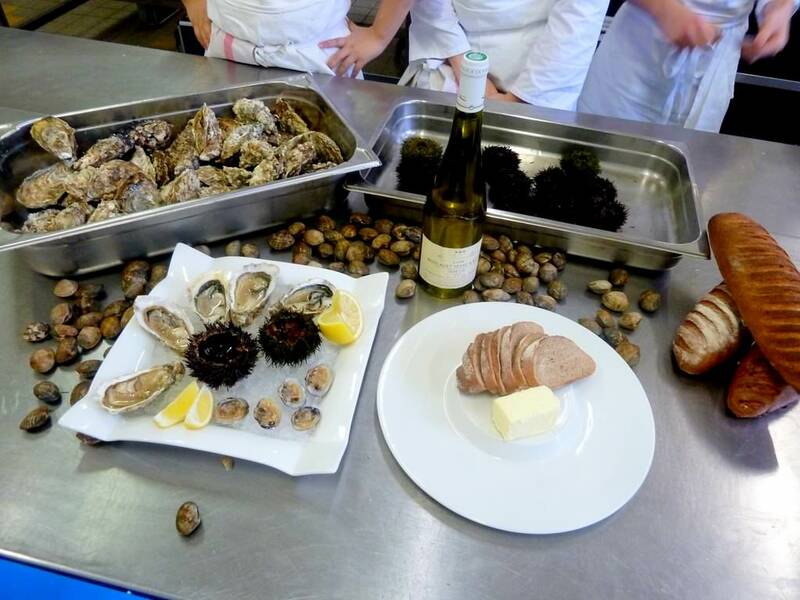 I let the pros do their thing and I focused on the cooking, but that changed when I came back from Paris…. 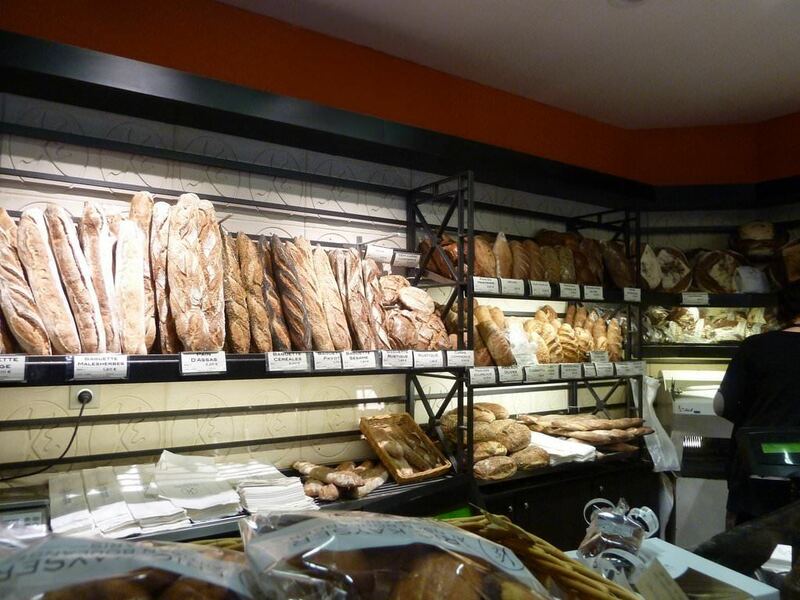 Eric Kayser’s Bread Selection, why even bother?